A 24-hour football marathon has taken place in Bradford to raise money for charity. 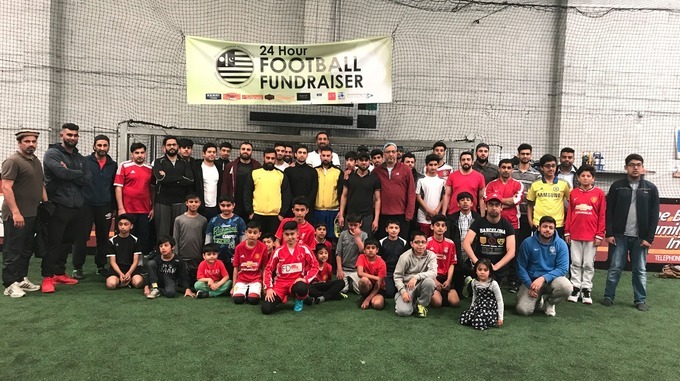 Around 150 players and 25 teams took part in the event, organised by Yorkshire’s Ahmadiyya Muslim Youth Association (AMYA). Kick off at the venue, on St Andrew’s Road in Huddersfield, was at 6pm on Saturday and was attended by Colne Valley MP Jason McCartney. Each game lasted an hour. This year’s event was raising money for the Forget Me Not children’s hospice.